Dr. Kiel evaluates and treats a wide range of conditions using herbal medicines, homeopathic remedies, nutritional supplements, and diet and lifestyle counseling. Dr. Kiel treats people of all ages, with a wide variety of both acute and chronic illnesses. Examples of chronic conditions she commonly treats are allergies, hormonal imbalances, adrenal fatigue, painful periods, menopausal symptoms, insomnia, Lyme disease, anxiety, food sensitivities, and autoimmune conditions. She also treats acute conditions such as colds, flu, cough, ear infections, and urinary tract infections. She particularly enjoy treating children for both acute and chronic issues. Common conditions that she treats in children are headaches, bedwetting, ear infections, attention difficulties, fearfulness, Lyme disease, and eczema. Children often respond very well to homeopathic medicine, which is a very gentle and safe treatment useful for many conditions. An initial visit lasts 2 hours, in which she will take a comprehensive health history and design an individualized treatment plan for that person. Follow up visits last 30-45 minutes. Most patients will need between 2 and 6 monthly follow-up visits to resolve their condition or to get on track with a regular treatment regimen; however, this varies significantly based on the seriousness of the condition that is being treated. Many patients come every 6 weeks on a long term basis for regular health coaching and monitoring of their conditions. Other patients have personalized herbal tincture blends that they take on a long term basis, and come in for regular visits 2-4 times a year for check in appointments. 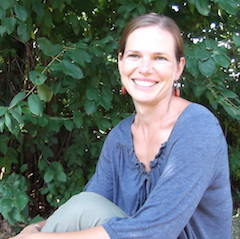 Dr. Kiel has been practicing naturopathic medicine for 6 years. Prior to that she studied and did research in psychology. Her greatest accomplishments are bringing people back to health. Dr. Kiel likes to dance, sing, ride bicycle, and garden. She lives with her family in a straw bale house outside of Washburn. She also homeschools her two children.